Beer Wine and Shine Trail media fam to Johnston County, NC. Begin your Beer, Wine, and Shine Trail exploration in the Southern part of the county near Benson...please be sure to have a designated driver....and stop for some truly local cuisine, eastern NC Barbecue. Choose to write about our Sip & Stay weekend package with hotel discounts and gift bag which includes additional offers and coupons from our destination partners. See details HERE! Broadslab Distillery products have captured, not only the true heritage of the region&apos;s famed moonshine, but have also preserved the craft, skills, and techniques of over five generations of the Norris family. Products are available in area ABC stores and are being featured in several restaurants around the state. Visitors can take a tour of the distillery and enjoy a tasting -- NC law now allows visitors to buy one bottle per year on site at the distillery. 11964 NC Hwy 50 N, McGee&apos;s Xrds. Conveniently located between Benson and on the way to Gregory Vineyards, you will find Stephenson&apos;s BBQ, where they continue to smoke pork shoulders in a fire-pit. Enjoy a basket of hushpuppies while you wait! This picturesque 135 acre working farm showcases hills of planted vineyards, a winery, a distillery, and a tasting room where you can sip on double gold winning Mary Elizabeth and Lee Love wines. Meet winemaker Lane Gregory as he takes you through the history of the sweet muscadine grapes that grow in eastern North Carolina. Enjoy sitting by the fireplace or grab a rocker on the front porch. Start your day at one of the top Muscadine Vineyards in the state of NC, and enjoy the beautiful vistas and very tasty wines. If you happen to need to do some shopping (many of our visitors do! ), stop by Carolina Premium Outlets in Smithfield, where you will find national name brands offering 25-65% off retail, every day! Award-winning vintner, Bob Hinnant, invites you to take a gander at the oldest and largest Muscadine vineyard in the state, sprawling 75 acres growing several varieties of grapes. After enjoying the tasting, shop around in the gift shop for homemade jellies and juices. Whether from Tennessee, Texas, Georgia, Louisiana, or the Carolinas, southern BBQ is the sweetest and most sultry taste around. 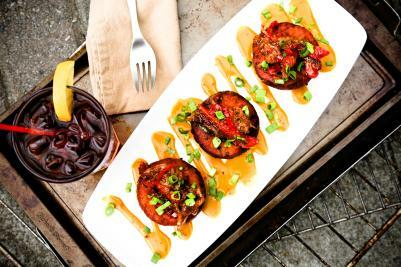 Chef and owner of SoDoSoPa Mike O’Dowd’s southern comfort food is sure to satisfy any appetite. Their recipes have been gathered over six generations and across three families with strong roots in the south and its tradition of BBQ and soul food. Experience their down-home cooking for yourself. You&apos;ll be back for more! 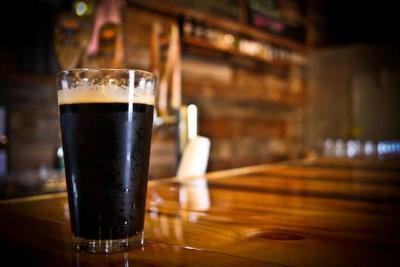 Double Barley is JoCo’s second brewery and specializes in dark brews with a higher ABV which you can taste in a taproom with a rustic but modern feel. They also have an excellent in-house menu. Save room for dessert! Did we mention that Double Barley shares space with award-winning local chocolatiers GerDan Chocolates? Wrap-up in Downtown Clayton where local restaurants like the Clayton Steak House and Manning&apos;s offer dinner options and hangouts like Wine on Main, First Street Tavern, and Revival 1869 are serving up after dinner drinks. Come back again! Our partners along the Beer, Wine, and Shine Trail offer seasonal wines, craft beers, and special events throughout the year! Please don&apos;t let this trip be your last..join our media email list or subscribe to our weekly BLOG.